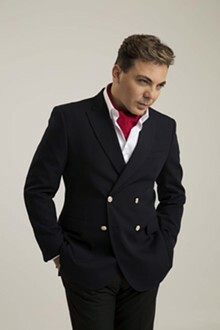 That Mexican pop star Cristian Castro comes from a showbiz family should be fairly obvious to anyone who experiences his live performance. The crooner, one of the best-selling Latin artists around, performs with an easy poise that still somehow allows room for passionate storms of emotion. His versatile and rich voice, his ability to give himself fully to the songs he sings, and his electric charisma all give Castro away as a consummate showman, groomed from the start. Active in music since the age of 18, the now 42-year-old Castro has released 14 studio albums and a ton of compilation albums and music videos (please spend some time on YouTube with this man). The chance to see him live at The Majestic is a can’t-miss for fans of Latin pop or polished yet powerful vocal performances in general.